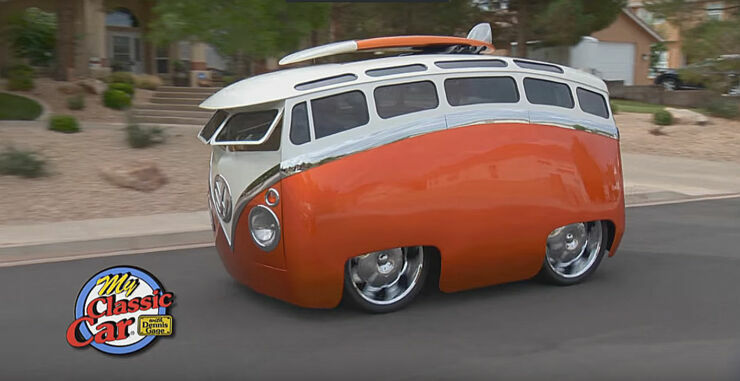 If you saw this cartoon custom VW bus created by Ron Berry, known as the Surf Seeker, driving down the street, you might rub your eyes and do a double take. Because the customized Kombi looks like it's driven straight out of a tripped-out cartoon, it's no surpise this custom VW bus always draws a large crowd the car show circuit. 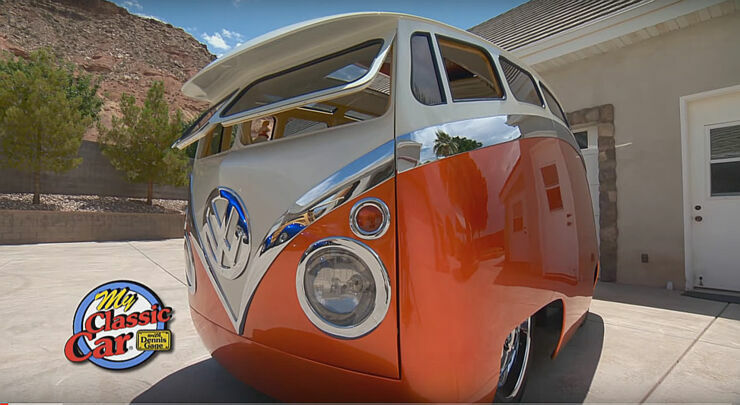 With heavily curved features and bendy, trippy body lines this 1965 custom VW bus defies your expectations of what a car, even a VW bus which have always been associated with hippies and surfing, should look like. Ron Berry now lives in Utah but, according to Street Machine, spent a lot of his youth in South California before moving way because it got too crowded. 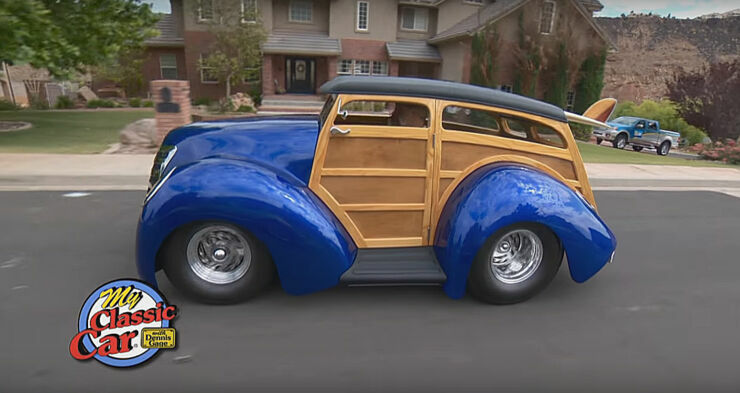 Berry says of Utah “It’s pretty much a retirement community where we are, but it’s amazing how many Californians have moved to this area, and nine times out of 10 they’re a car enthusiast.” So he's definitely been inspired by the surfer vibe and style from the SoCal area. But he's taken it to new levels and added his own spin. 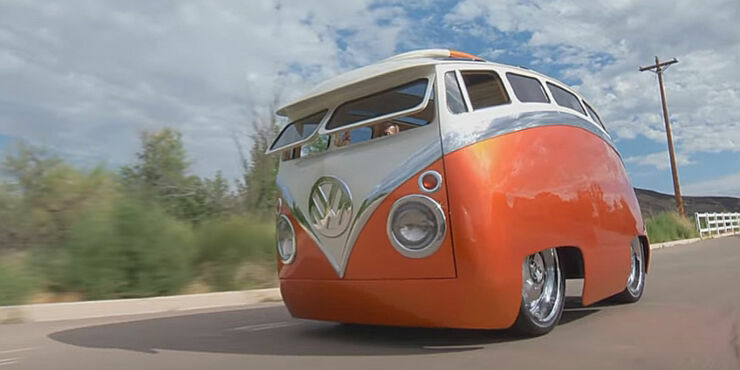 According to Street Machine the custom VW Bus took 17 months to design and build with Berry customizing a 1965 Kombi. 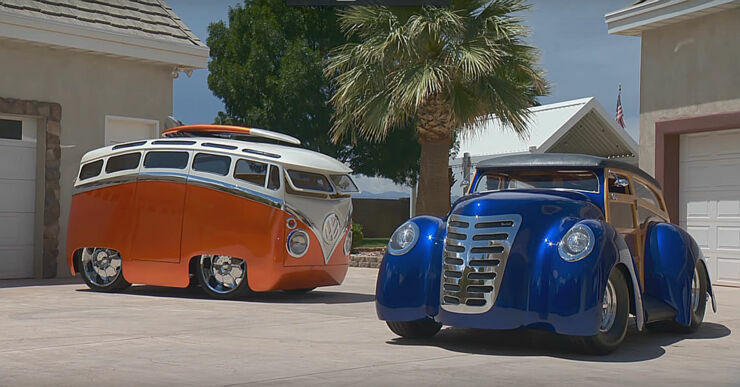 Berry changed the suspension on the custom VW Bus, dropped in a new 209hp engine, 24-inch chrome wheels, redone the interior, and gave it a sculptural aesthetic. Over emphasizing these features of the original VW Kombi has completely changed the design of the original vehicle to create a seriously cool cartoonish-looking custom VW bus Berry calls 'Surf Seeker'. 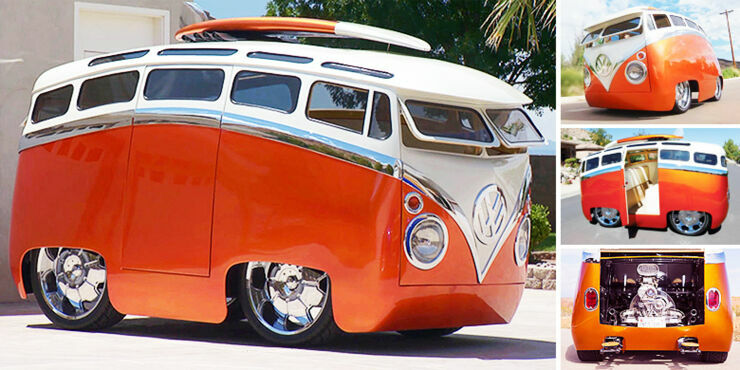 Berry's custom creations don't stop at the VW bus either. He's also customized a 1956 Ford F-100 covering it in bright yellow paint and adding a 528ci Crate motor. 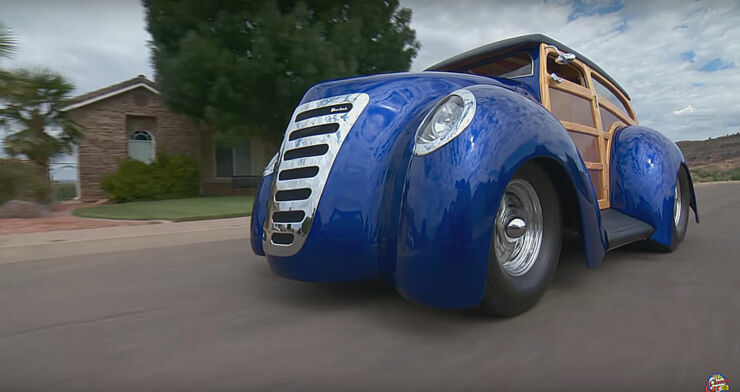 Another creation is called Shorebreak, a custom woody car made from fiberglass and wood with a V8 engine and shimmering blue body paint. Although different cars they all have one thing in common: they're all styled and influenced by that SoCal surfer culture from Berry's youth. Check out some pics, and a video, of Ron Berry's '56 F-100, below.